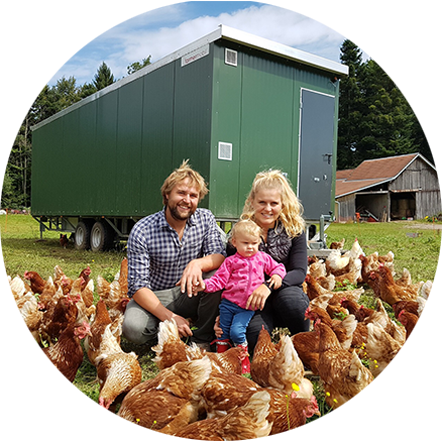 The farmermobil® STARTER-max can accommodate 300 or 450 layers and is suitable for both organic and free-range farming. 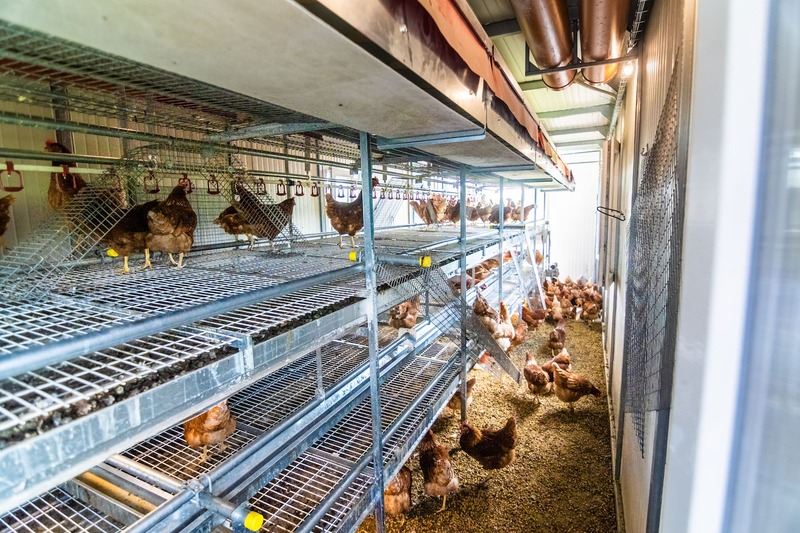 The highlight of the STARTER-max: the new egg-elevator in the separated egg room. 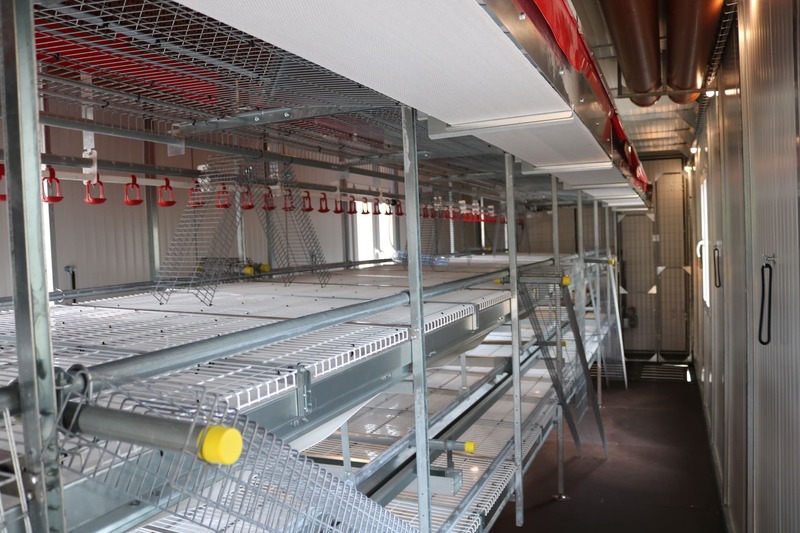 As a special feature, this housing system offers a separate egg collection room. 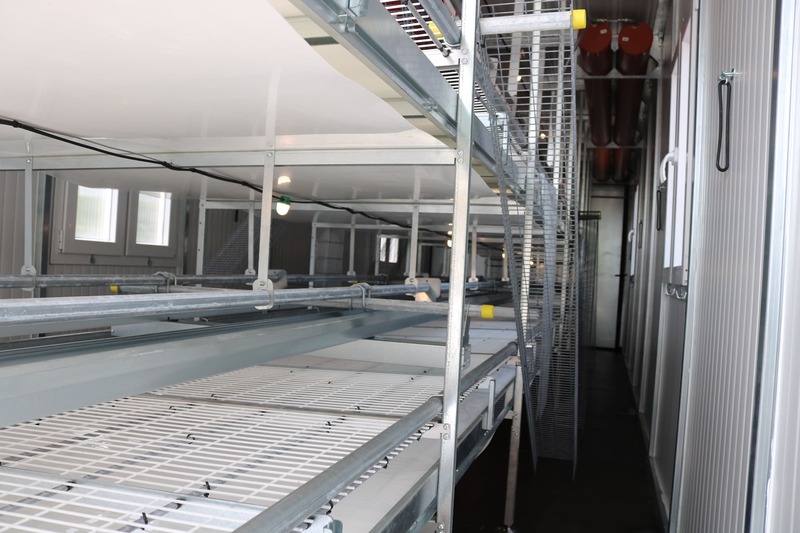 In addition, the Mobil housing system's aviary is accessible on both sides. 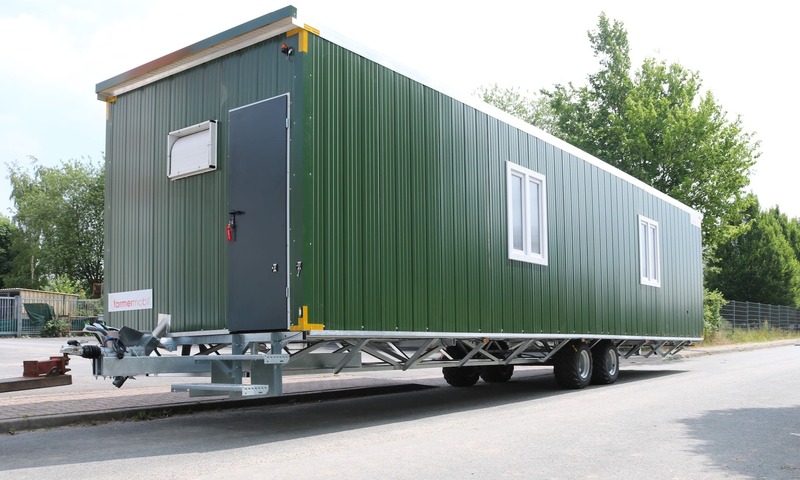 The mobile STARTER-max housing system is operated fully automatically by its own state-of- the-art computer. 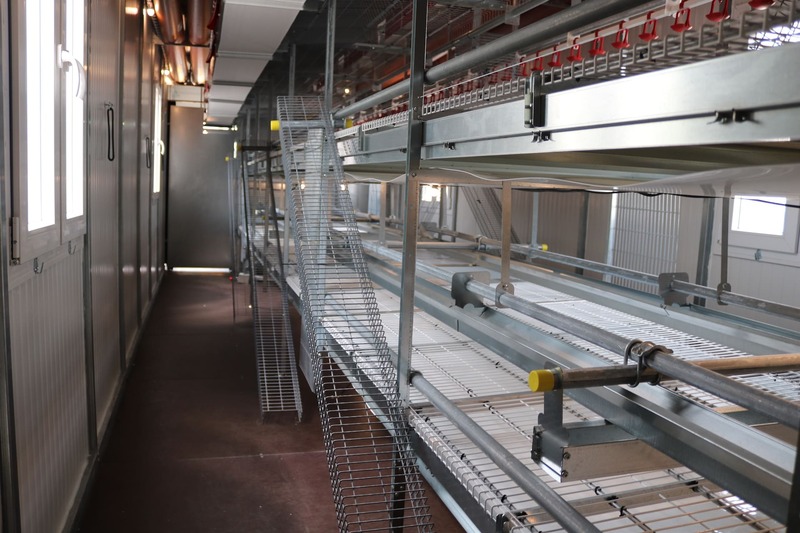 It is constructed and fully equipped to enable self-sufficient operation. 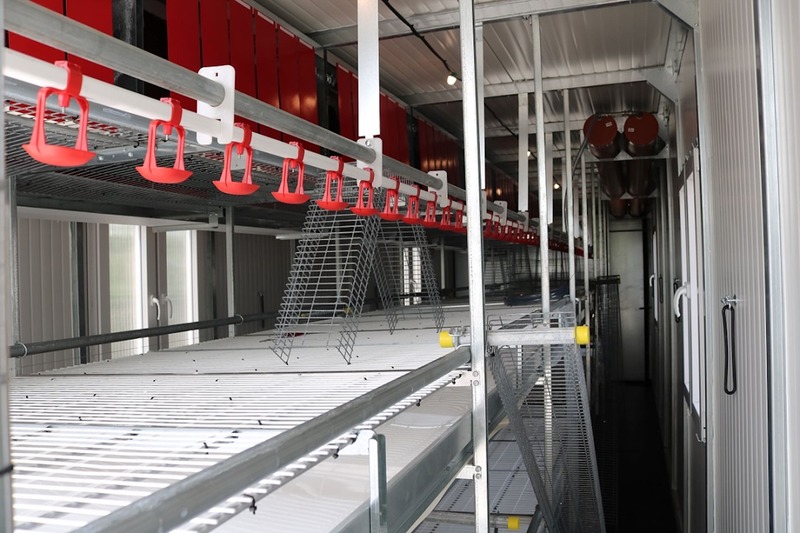 Storage tanks in the vehicle supply feed and water to the animals. 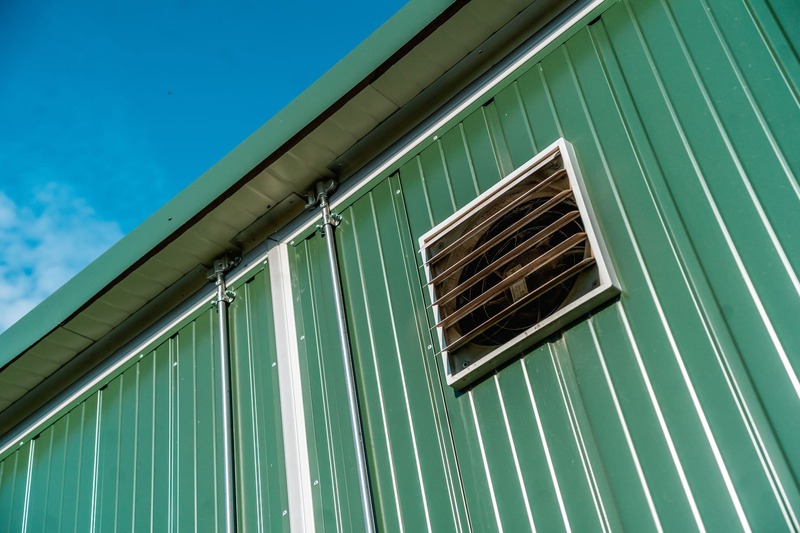 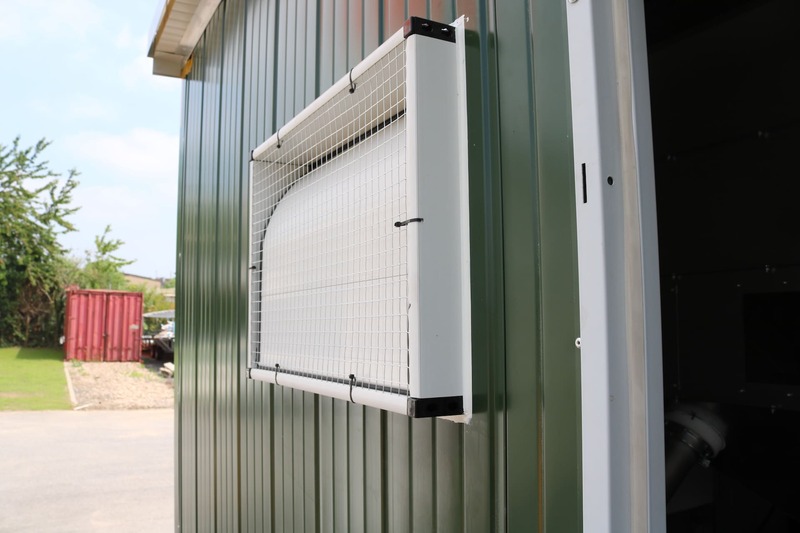 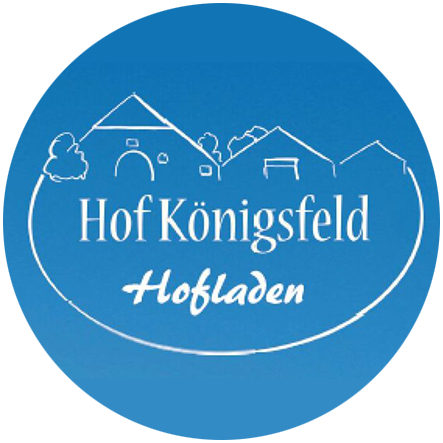 The housing system computer regulates the lighting and the automatic opening and closing of the outdoor access flaps and tilting floor nests, as well as the operation of the ventilation and feeding equipment in the housing system, based on time and/or temperature control. 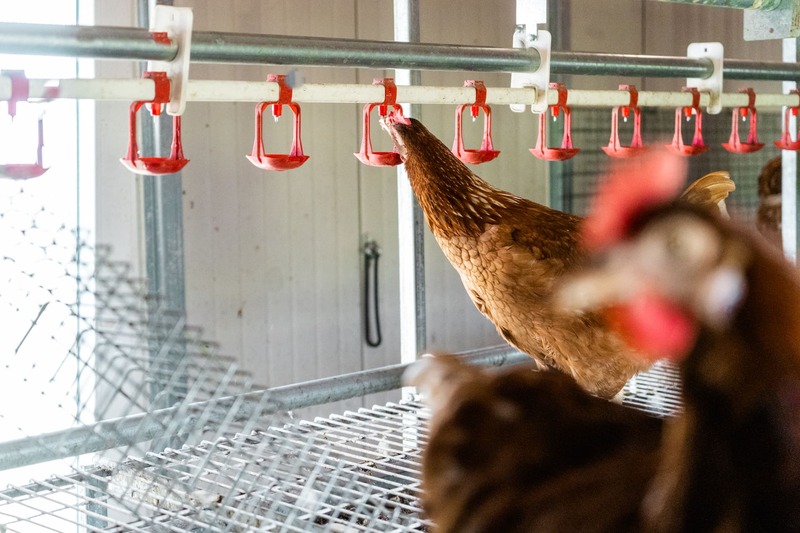 In addition, the manure and egg belts can be electrically operated. 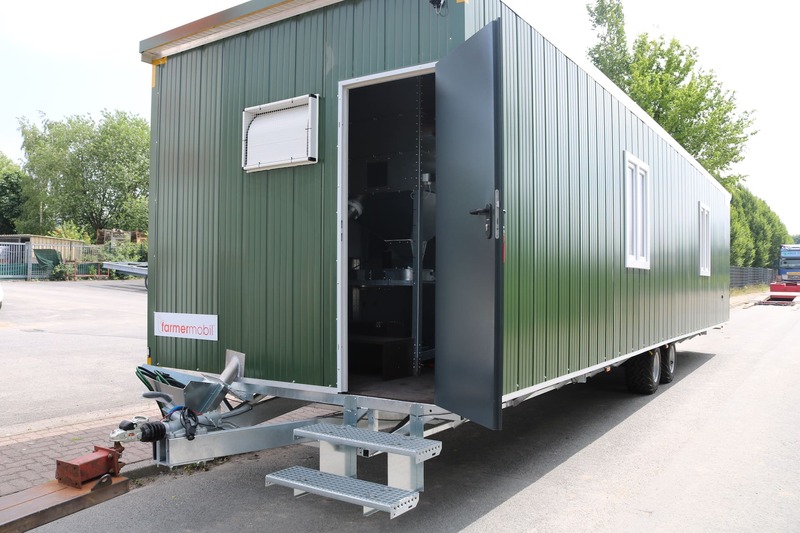 The entire housing system runs on 24 V. The energy required is supplied by batteries in the vehicle which are charged via a 230 V connection. 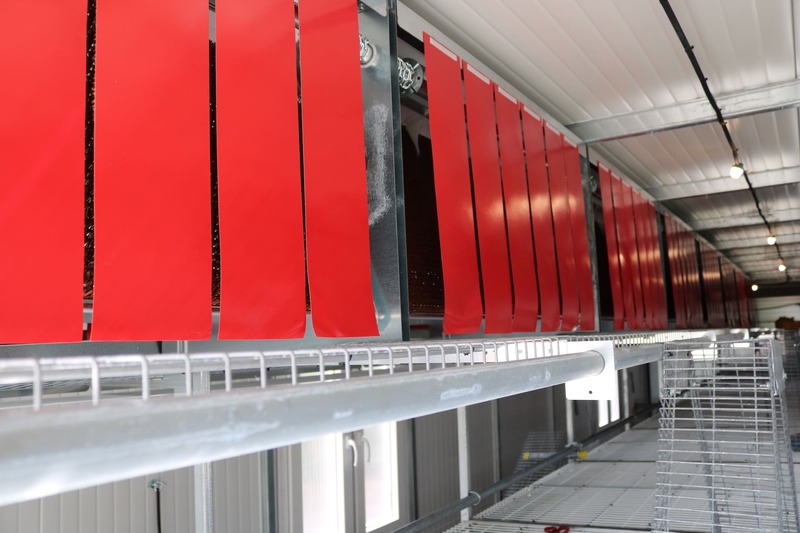 Optionally, a photovoltaic system can be installed on the roof to charge the batteries. 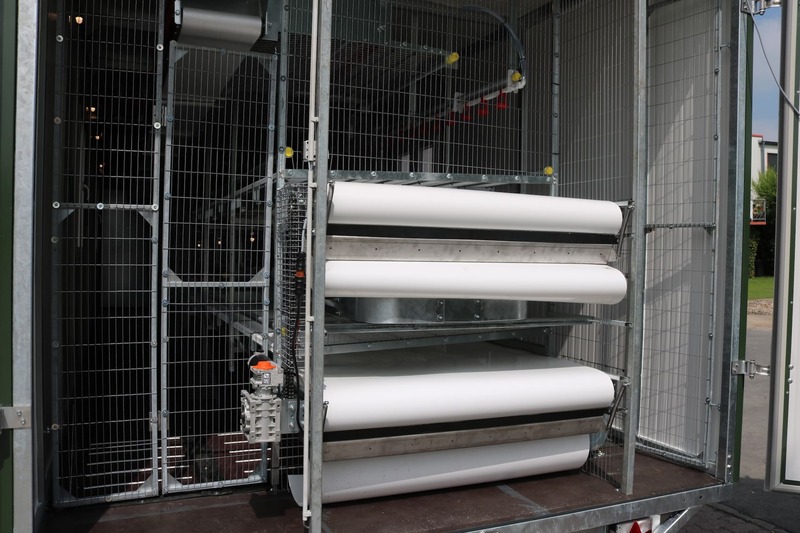 The STARTER-max is delivered completely assembled and ready for immediate use. 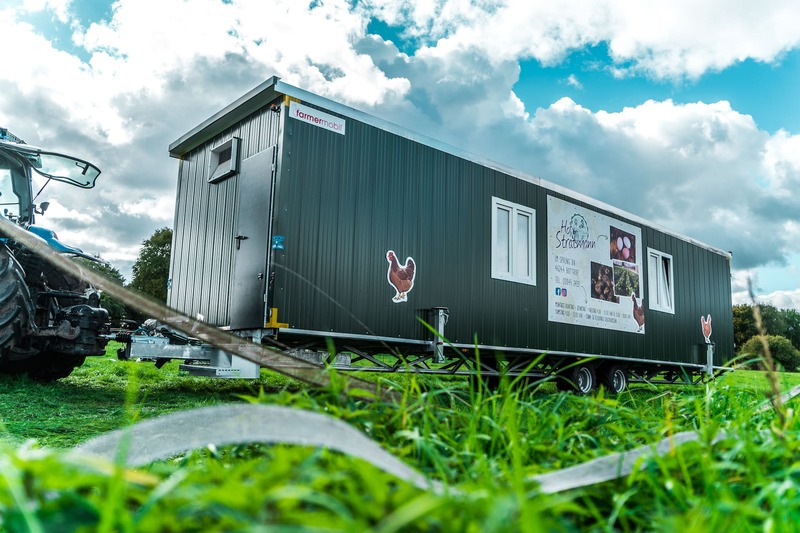 The mobile poultry housing system has a permanently installed chassis, making it roadworthy and fully mobile. 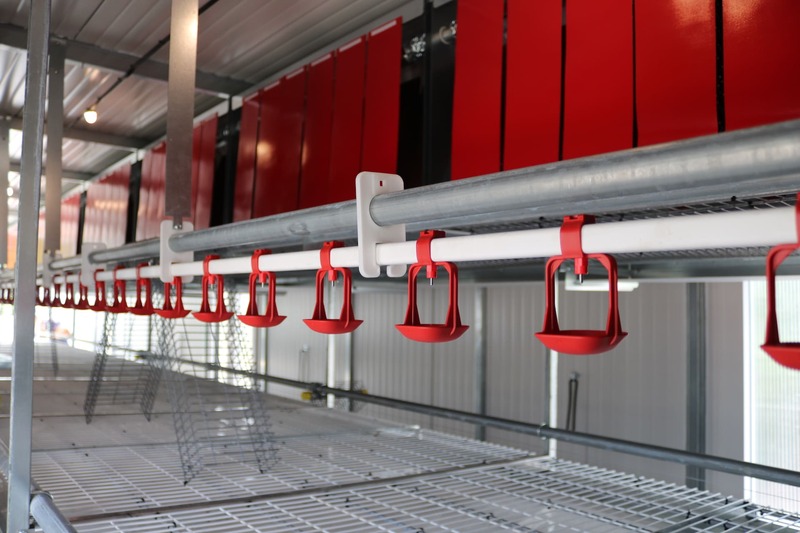 This facilitates easy moving, allowing optimum use of the available pasture and avoiding any excessive input of nutrients into the soil. 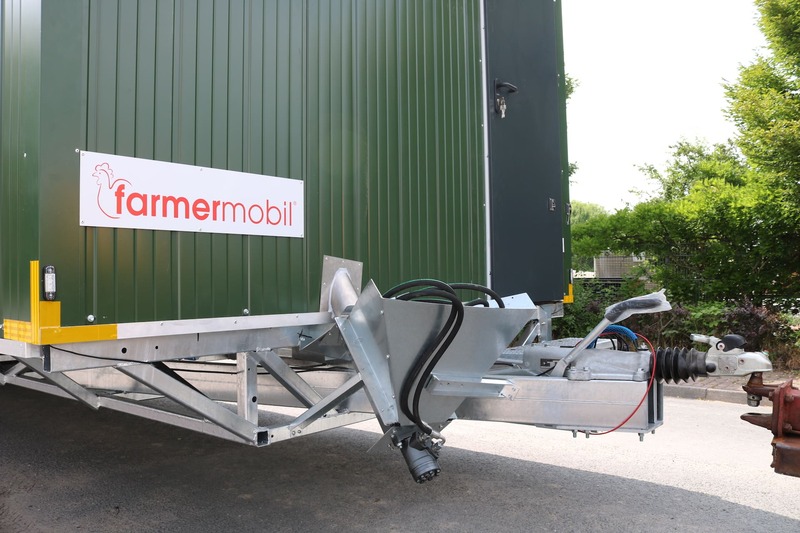 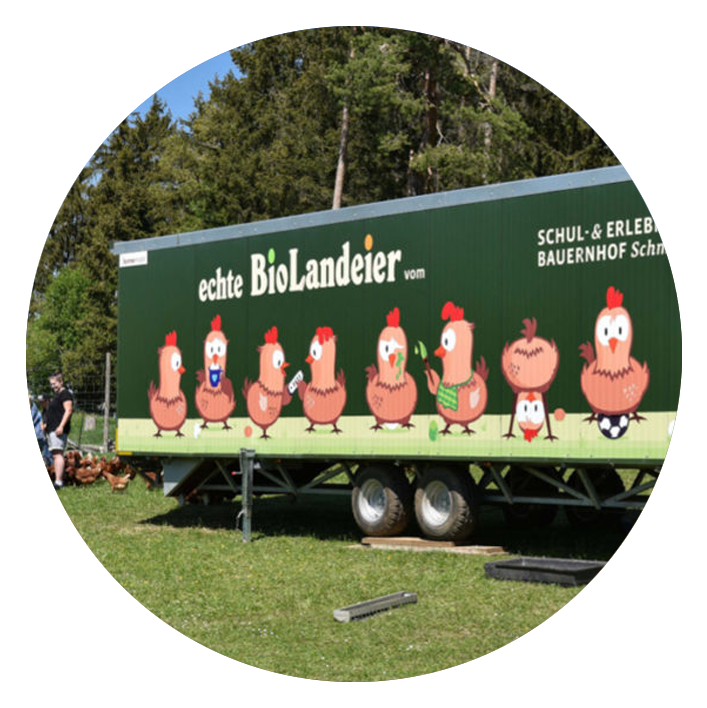 The new farmermobil® STARTER-max - the innovative and modern chicken mobile! 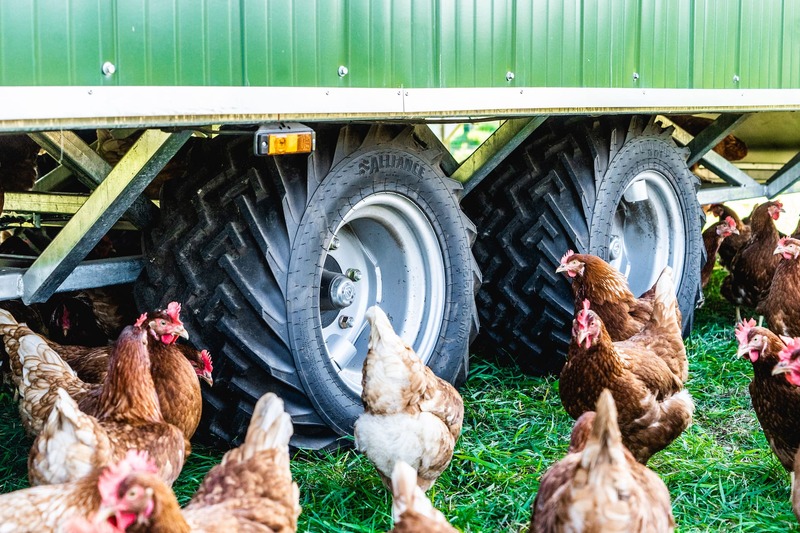 Wheels for up to 450 laying hens. 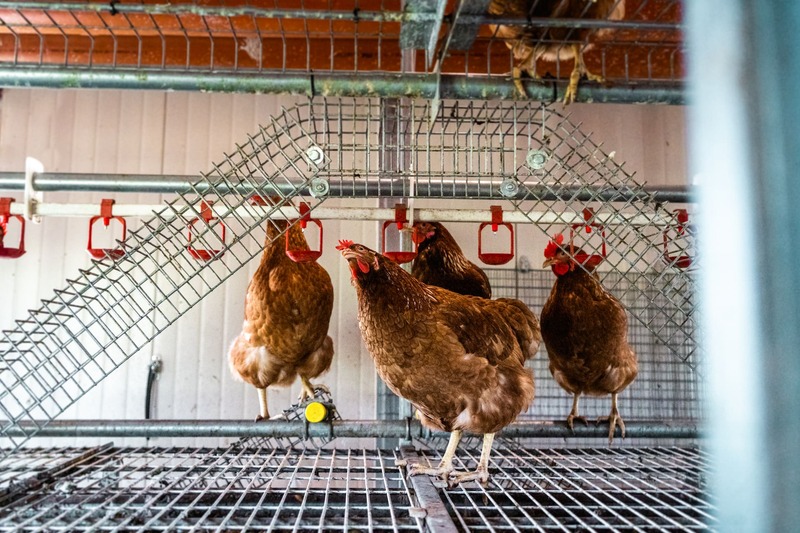 Who is the STARTER-max suitable for? 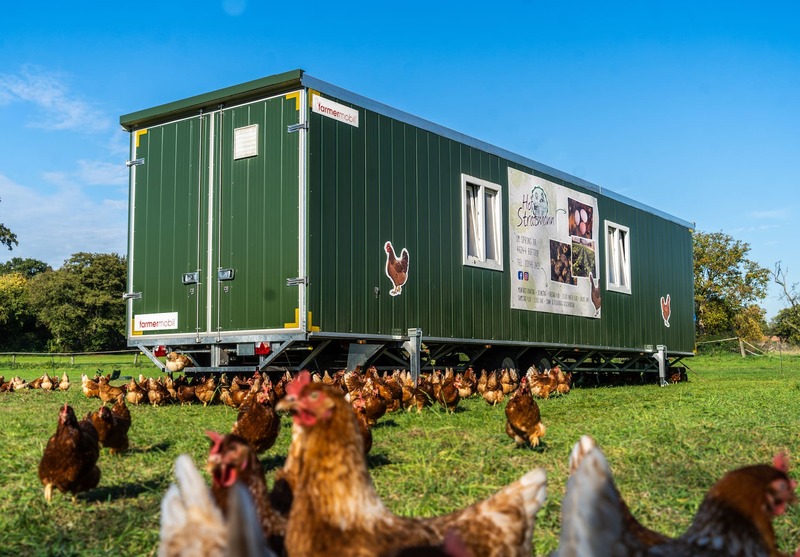 The STARTER-max mobile poultry housing system is ideal for newcomers as well as for experienced farmers. 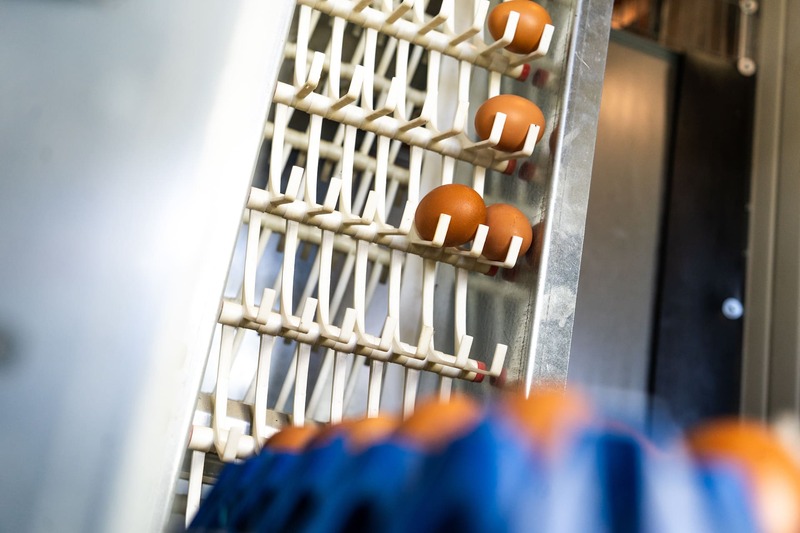 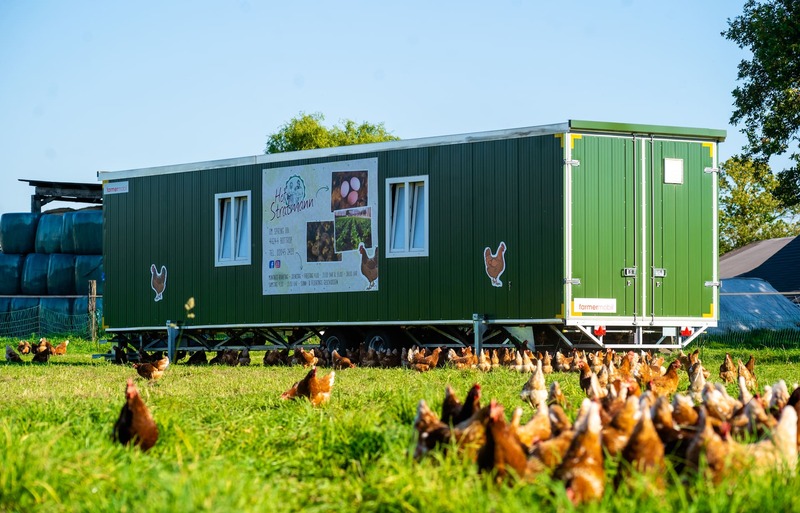 The eggs from 300 or 450 healthy and happy layers, housed in the mobile poultry housing system, enable the foundation of profitable direct marketing to be laid. 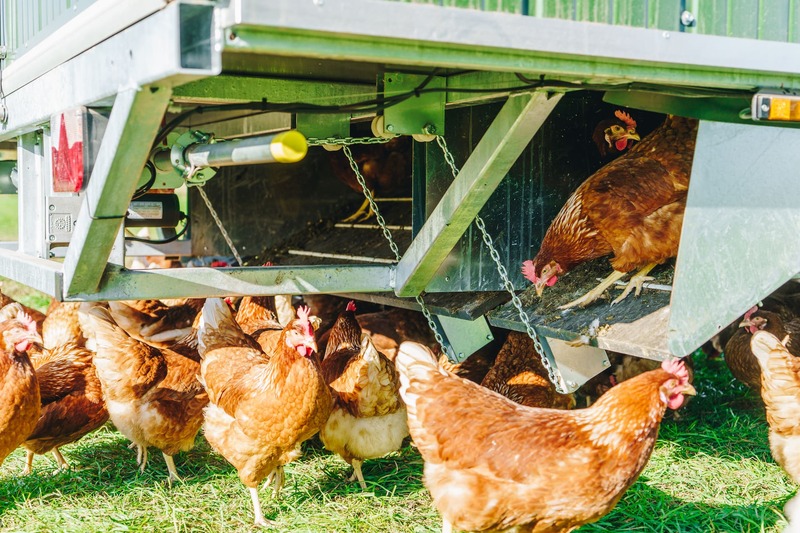 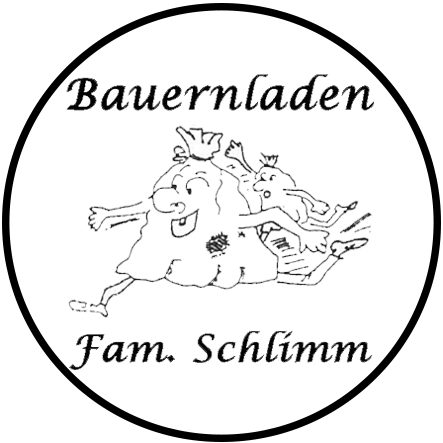 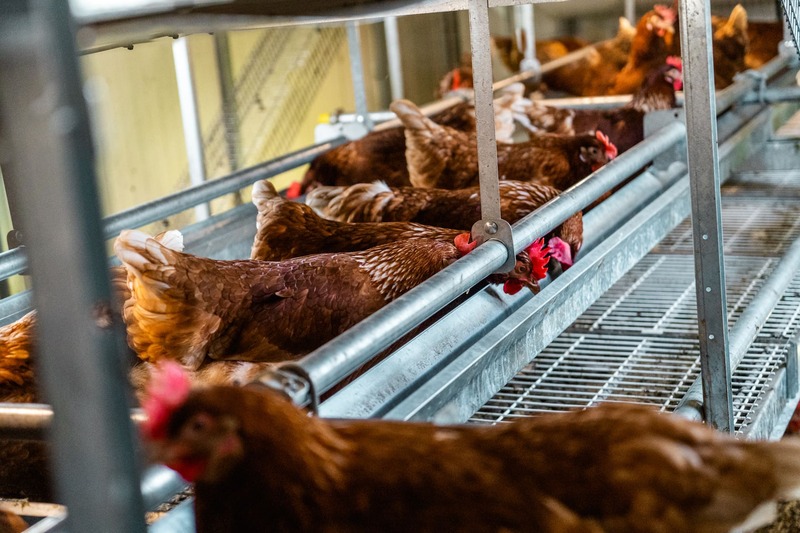 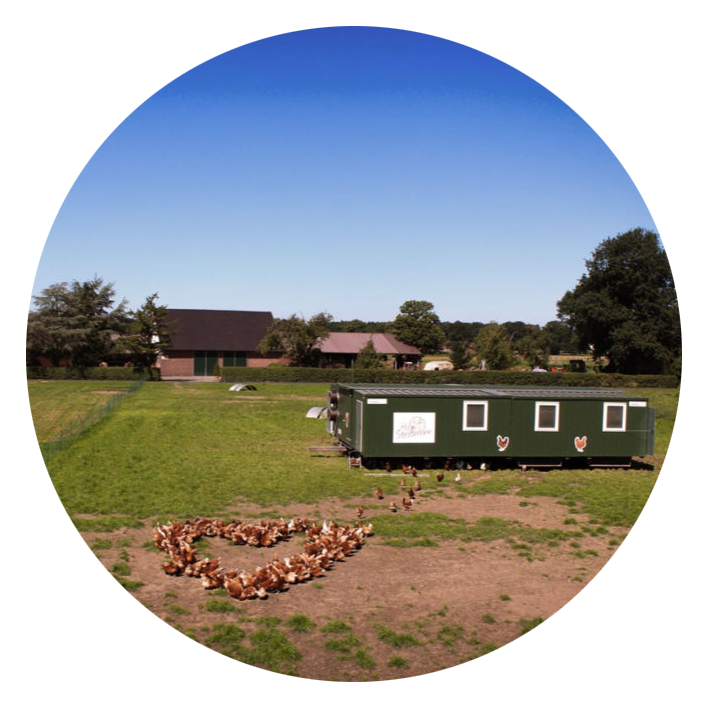 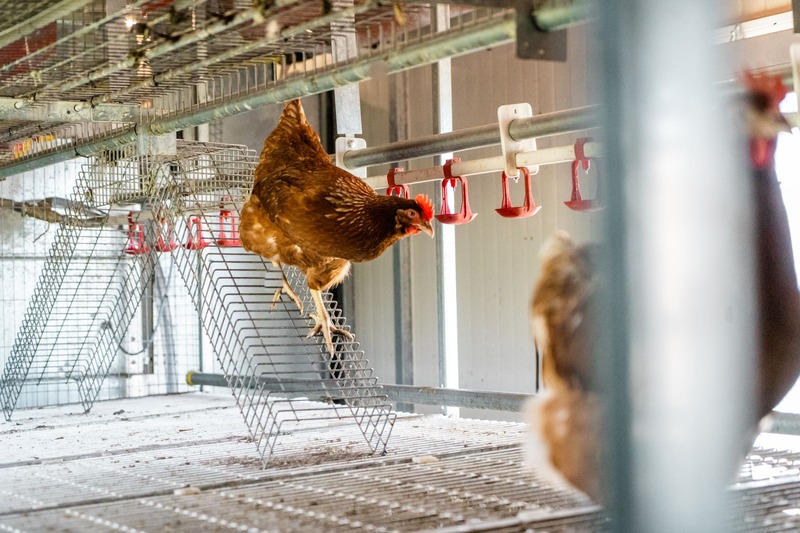 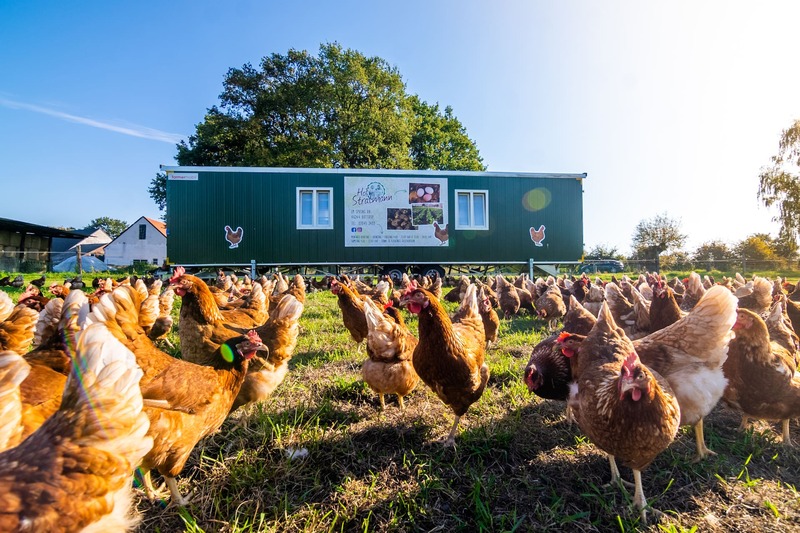 Furthermore, experienced poultry farmers have the option of operating the STARTER-max as a second or third house in order to produce marketable eggs 365 days a year. 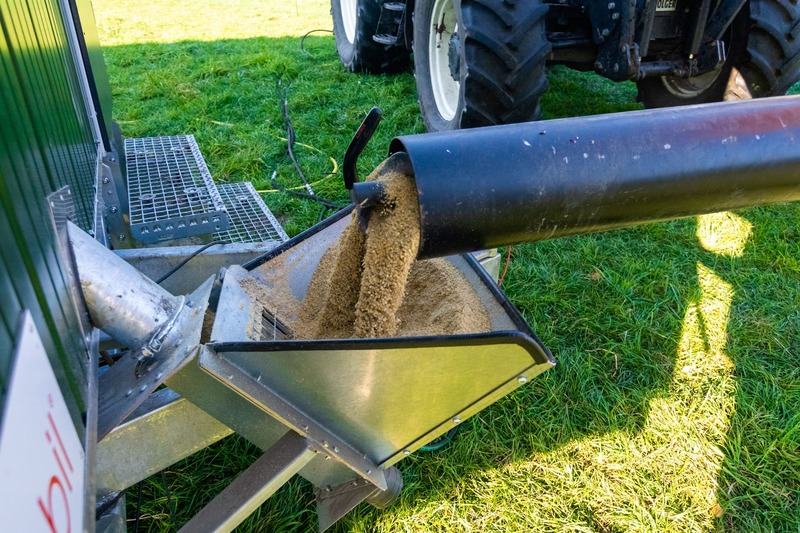 Thanks to its fully automatic operation, the STARTER-max satisfies all the criteria of modern agriculture, especially with regard to labour requirements. 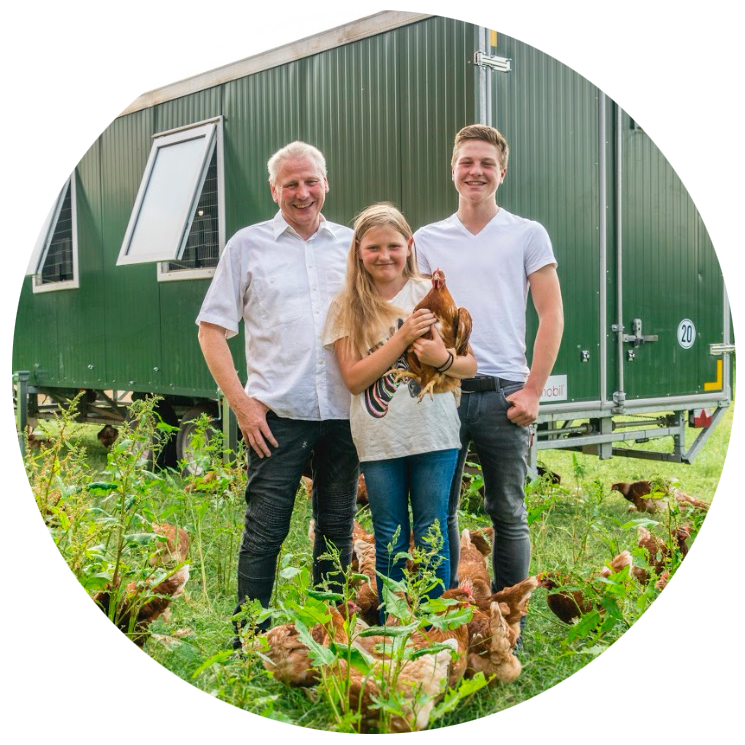 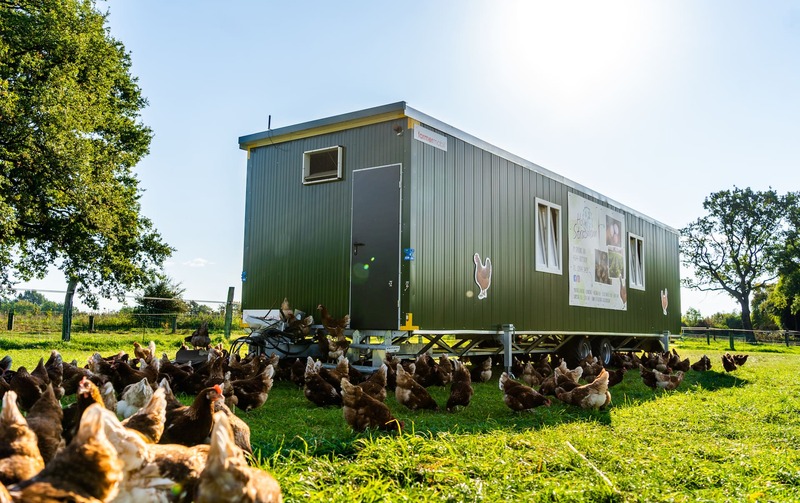 Take advantage of the unique selling points of this mobile housing system and convince consumers with your transparent farming system that promotes animal welfare.